Cancer - the word alone is terrifying, and so is the diagnosis. What do you do with your life while you are fighting so survive? Here at Pilates on Hudson, we offer you the ability to keep on going, whether in a group class or in privates, with all the attention that you need to focus on healing. From the supportive healing care of our staff to the airy brightness of the space, we are here to help you get better. How Is Pilates Helpful for Cancer Patients? According to an article from the University of Pennsylvania Medical Center from December, 2017, Pilates can help people with cancer by helping with their balance, muscle strength, easing nausea, and decreases fatigue. In addition, Oncology Rehab states that Pilates is an excellent way to condition and gain strength, flexibility, and overall body symmetry, while minimizing impact on joints. Why is Pilates a Good Form of Exercise for Oncology Rehab Patients? Patients can regain confidence and vitality through the gentleness of the Pilates exercise methods. The adjustable, spring-loaded machines provide appropriate exercises for patients experiencing fatigue or anemia, and patients who are debilitated from chemotherapy and radiation therapy. Additionally, we can put you on a super soft table and do light weight and band exercises that allow you to be comfortable while still doing some full body strengthening. 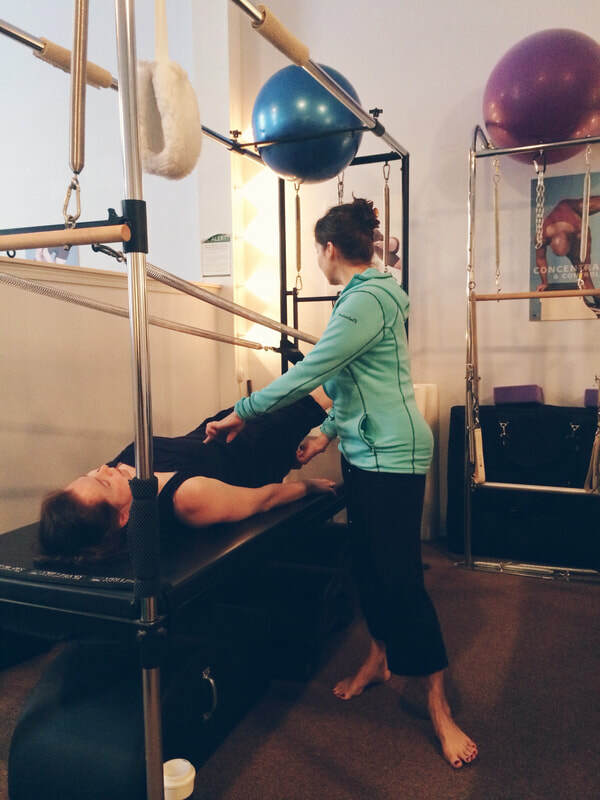 What Are the Rehabilitative Goals of Pilates Based Programs at Pilates on Hudson? We know that this is a very trying time for you, and we'd like to help. If you want more information about how we can work with someone who has cancer, please contact us to set up a free consultation.